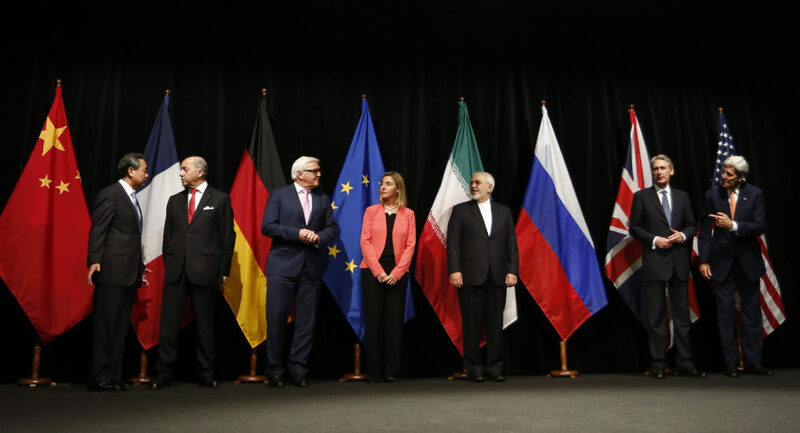 On July 14, 2015, the P5+1 (China, France, Germany, Russia, United Kingdom, and United States), the European Union (EU) and Iran reached a Joint Comprehensive Plan of Action (JCPOA) or Iran Nuclear Deal, to ensure that Iran’s nuclear program will be exclusively peaceful. On October 18, 2015, the JCPOA Adoption Day was the day that parties to the JCPOA started taking actions to implement the terms of the Deal. January 16, 2016 was the historic promised “Implementation Day” of the Iran Nuclear Deal. In that day, the International Atomic Energy Agency (IAEA) verified that Iran has implemented its key nuclear-related provisions contained in the JCPOA, and John Kerry the US Secretary of State confirmed the IAEA’s verification. As a result, the United States lifted certain nuclear-related sanctions on Iran, as described in the JCPOA. 1-The sanctions-related commitments described in the JCPOA are directed towards non U.S. persons, and except for the commitments described in section 5 of Annex II of the JCPOA, do not apply to U.S. persons. For the purpose of this guidance, the term “non-U.S. person” means any individual or entity excluding any United States citizen, permanent resident alien, entity organized under the laws of the United States or any jurisdiction within the United States (including foreign branches), or any person in the US. See 31 C.F.R. § 560.314. This definition of “non U.S. person” therefore includes U.S.-owned or -controlled foreign entities. However, U.S.-owned or -controlled foreign entities are eligible to participate in transactions or activities subject to the sanctions lifting under the JCPOA only to the extent that the transactions or activities are exempt from regulation or authorized by OFAC. In other words, the lifted sanctions do not apply to any Persian-Americans who live in the US, Iran or anywhere else in the world. 2-The sanctions commitments described in the JCPOA and this guidance do not apply to transactions that involve persons who remain or are placed on the SDN List. Transactions involving such persons remain sanctionable after Implementation Day. 3-The USG commitment to lift sanctions described in the JCPOA is without prejudice to sanctions that may apply under legal provisions not included within the scope of section 4 of Annex II of the JCPOA. Click here for the entire Guidance. To effectuate the lifting of the nuclear-related secondary sanctions set out in sections 4.1 to 4.7 of Annex II and sections 17.1 to 17.2 of Annex V of the JCPOA, on Implementation Day, the USG took the steps set out below. The provision of associated services10 for each of the categories above (see section 4.1.7 of Annex II of the JCPOA). In addition, the USG has removed bilateral trade limitations on Iranian revenues held abroad; including limitations on their transfer (see section 4.1.4 of Annex II of the JCPOA). Questions: How has the commitment in the JCPOA to allow the export, reexport, sale, lease, or transfer of commercial passenger aircraft and related parts and services to Iran been implemented? Answer: OFAC issued a Statement of Licensing Policy (SLP), effective on Implementation Day, establishing a favorable licensing policy regime through which U.S. persons and, where there is a nexus to U.S. jurisdiction, non-U.S. persons may request specific authorization from OFAC to engage in transactions for the export, reexport, sale, lease, or transfer of commercial passenger aircraft and related parts and services to Iran, provided that the licensed items are used exclusively for commercial passenger aviation. Specific licenses issued pursuant to the SLP will include appropriate conditions to ensure that licensed activities do not involve, and no licensed aircraft, goods, or services are re-sold or re-transferred to, any person on OFAC’s SDN List. Question:. Under the JCPOA, the United States committed to license, upon Implementation Day, the importation into the United States of Iranian-origin carpets and foodstuffs, including pistachios and caviar. What types of Iranian-origin carpets and foodstuffs may be imported into the United States under the general license? Answer: Pursuant to its commitment under the JCPOA, the United States is authorizing the importation into the United States of Iranian-origin carpets and foodstuffs, including pistachios and caviar. 2-foodstuffs intended for human consumption that are classified under chapters 2-23 of the Harmonized Tariff Schedule of the United States. Carpets and foodstuffs imported pursuant to the general license will still be subject to all other laws and regulations applicable to goods imported into the United States, including generally applicable laws and regulations administered by other U.S. departments and agencies, such as the Department of Agriculture, Department of Commerce, the Food and Drug Administration, and the Department of Homeland Security. 1-A United States person living abroad is permitted to purchase or sell an Iranian-origin carpet, as long as the sale is not to Iran, the Government of Iran, an Iranian financial institution, or any other person whose property and interests in property are blocked pursuant to section 560.211 of the ITSR. January 16, 2016 33. 2-A United States person may process a documentary collection relating to the importation into the United States of Iranian-origin pistachios, but payment under the documentary collection may not involve the crediting of an Iranian account, as defined in section 560.320 of the ITSR. Question 1: The JCPOA provides for the licensing of non-U.S. entities that are owned or controlled by a U.S. person (“U.S.-owned or -controlled foreign entities”) to engage in activities with Iran that are consistent with the JCPOA and U.S. law. How is this commitment being implemented? Answer: The commitment to license U.S.-owned or -controlled foreign entities to engage in activities with Iran that are consistent with the JCPOA and U.S. law has been implemented through OFAC’s issuance of General License H: Authorizing Certain Transactions Relating to Foreign Entities Owned or Controlled by a United States Person (GL H). GL H was published on OFAC’s website on January 16, 2016. Question 2. What is considered a U.S.-owned or -controlled foreign entity for purposes of the U.S. commitment under the JCPOA to license certain activities involving Iran? (3) otherwise controls the actions, policies, or personnel decisions of the entity. See section 560.215 of the ITSR. K.
Question 3. The JCPOA provides that the United States will lift secondary sanctions related to the provision of financial messaging services to the CBI (Central Bank of Iran, Bank Markazi)and Iranian financial institutions set out in Attachment 3 to Annex II on Implementation Day. Does this mean that these Iranian banks can receive specialized financial messaging services from non-U.S. providers? Answer: Yes. As detailed in section 4.1.6 of Annex II of the JCPOA, the United States will not impose sanctions on non-U.S. persons that provide specialized financial messaging services to, or enable or facilitate direct or indirect access to such services for, the CBI or Iranian financial institutions, with the exception of entities that remain or are placed on the SDN List (as of Implementation Day, Iranian financial institutions remaining on the SDN List are: Ansar Bank, Bank Saderat, Bank Saderat PLC, and Mehr Bank). U.S. persons – including U.S. financial institutions – continue to be broadly prohibited from engaging in transactions involving Iran, including the provision of specialized financial messaging services to, or enabling or facilitating direct or indirect access to such services for, the CBI or Iranian financial institutions, unless the transactions are exempt from regulation or authorized by OFAC. In addition, see FAQ C.7 regarding prohibitions on clearing U.S. dollar transactions involving Iranian persons through the United States. For the complete Frequently Asked Questions Relating to the Lifting of Certain U.S. Sanctions Under the Joint Comprehensive Plan of Action (JCPOA) on Implementation Day1, click here. Click here for the list of Iranian institutions that have been removed from the OFAC blacklist. Bank Secrecy Act (BSA) matters.